The organisation responsible for the management of terrestrial TV in the UK has celebrated another successful year ahead of major changes to the Freeview service. In its Annual Report, Digital UK celebrated the addition of new channels to Freeview in the past twelve months, the ongoing success of its new connected TV service Freeview Play and provided an update of what is going on in the background to prepare for technical changes to the service early next decade. 19.3 million homes have access to Freeview, putting the platform ahead of satellite (Sky and Freesat), which is used by 10.8 million homes and cable's 4.1 million homes, according to BARB figures. Viewers using hybrid services such as BT TV / YouView also use Freeview as the source of their main channels. In the past twelve months, services including Blaze and Quest Red have launched on Freeview, giving viewers access to programmes previously only carried on pay TV channels such as History and TLC. The Digital UK Report confirmed that sales of Freeview HD compatible equipment has now topped 25 million since launch, with 1.5 million devices supporting Freeview Play having been sold in the past two years. Around 95% of the UK's most watched programmes are available on Freeview channels. In the last year Freeview Play, which blends terrestrial TV with on-demand and catch-up TV has become the most widely adopted system for catch-up TV by manufacturers, with more than one million product sales and support from leading brands including Panasonic, LG, Humax, Hisense, JVC, Hitachi and Toshiba. The specifications of the service have also continued to evolve with support for new technologies such as 4K and High Dynamic Range (HDR) over broadband, plus additional catch-up services including UKTV Play. Which? listed Freeview Play as one of the five TV technology trends for 2017. Digital UK also predicts the benefits of a recent change in channel listing policy to be come evident later this year, following changes to the channel list on 2nd August, which is designed to make it easier for channel operators to manage their channel portfolios on Freeview. Viewers will need to retune from the afternoon of the 2nd August, with more space being created in the channel numbering system for new channels to launch. Meanwhile, ahead of region-by-region retunes between July 2017 and mid-2020, preparing the way for major frequency changes that will affect the bandwidth available for Freeview, Digital UK has confirmed that engineering work on transmitters in on track, including work on a temporary mast at Emley Moor to ensure viewers in Yorkshire retain Freeview access during the works. A pilot to see how the future frequency changes might affect viewers, which took place in Selkirk in March 2017, was also deemed successful, with 9 out of 10 households able to retune successfully, with just 200 homes in the area needing an engineer to come and restore services. 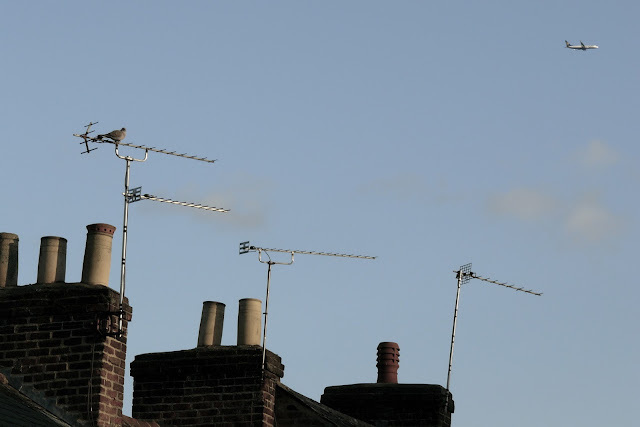 The pilot moved BBC TV channels to new frequencies outside of the typical frequency range to see how if households could still receive the services and how much help they needed, ahead of similar frequency changes expected in many other parts of the UK. "Just over two years since the first products began to roll off the production lines, I am delighted to say that Freeview Play has become the most widely supported catch-up service by manufacturers. I would like to thank our shareholders for entrusting Digital UK with the development of this important service. Jonathan Thompson and his staff have risen magnificently to the challenge, as have the team at Freeview and all of our manufacturing partners. Their dedication and hard work have made thislatest venture such a success." "I remain convinced that the opportunity for a strong and evolving free-to-view choice for viewers within the market remains as critical as it has ever been. Viewers want access to the best content with flexibility and freedom in how and when they watch. Freeview as an evolving hybrid platform offering the best of broadcast and IP connectivity can meet that demand."